Ambigram for TPACK. This image would look the same when reflected in a mirror . 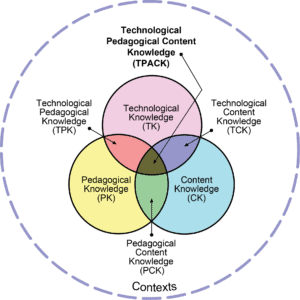 The Technological Pedagogical Content Knowledge (TPACK) framework, builds on Shulman’s idea of PCK, and attempts to capture some of the essential qualities of knowledge required by teachers for technology integration in their teaching, while addressing the complex, multifaceted and situated nature of teacher knowledge. The TPACK framework looks at the relationships between technology, pedagogy, and content, in specific contexts. At the heart of the TPACK framework, is the complex interplay of three primary forms of knowledge: Content (CK), Pedagogy (PK), and Technology (TK). Effective technology integration for pedagogy around specific subject matter requires developing sensitivity to the dynamic, transactional relationship between all three components. A teacher capable of negotiating these relationships represents a form of expertise different from, and greater than, the knowledge of a disciplinary expert (say a mathematician or a historian), a technology expert (a computer scientist) and a pedagogical expert (an experienced educator). Mishra, P., & Koehler, M. J. (2006). Technological Pedagogical Content Knowledge: A new framework for teacher knowledge. Teachers College Record. 108(6), 1017-1054. Koehler, M. J., & Mishra, P. (in press). Introducing Technological Pedagogical Knowledge. In AACTE (Eds.). 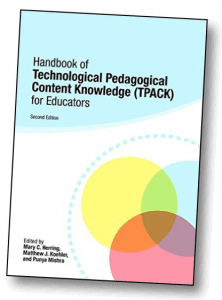 The Handbook of Technological Pedagogical Content Knowledge for Educators. To be published by AACTE and Lawrence Erlbaum Associates. 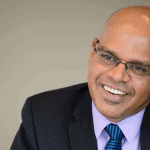 Herring, M., Koehler, M.J., & Mishra, P. (Eds.) (2016). Handbook of technological pedagogical content knowledge (2nd edition). New York: Routledge. 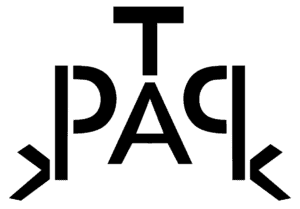 Some other interesting links about TPACK on this site are the TPACK Newsletter archive, some videos that can help you learn more about the topic and some strange TPACK Fun.